You’ve fine-tuned your planter to perform just right, you’ve invested in the right seeds for each acre and you have the right starter program to give this year’s crop an early boost. Now your furrows are about to hold all your potential for the season. The question is: Are they ready? Do you have uniform moisture below the surface where your seed is being planted? 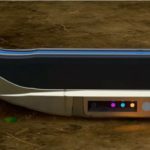 Is the soil temperature adequate to drive quick germination? Is last year’s residue out of the furrow and away from the seed? With SmartFirmer you no longer have to guess. Put eyes inside every furrow with a seed-firmer sensor that measures organic matter, moisture, residue and temperature. Now you can optimize hybrid selection, population, depth, fertility and row cleaners in real time. With 20|20, you don’t see historical data or generic information from a satellite. You see data from your field, in real time. With the addition of control systems like vDrive, DeltaForce, and the new SmartFirmer, your story only becomes richer. 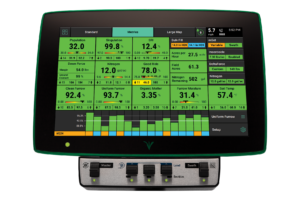 InCommand™ 1200 is the flagship of the InCommand line, built on Ag Leader’s industry leading precision ag display technology. With InCommand 1200, you get year-round efficient machine control plus instantaneous information to simplify crucial decisions that impact your yield and profitability. 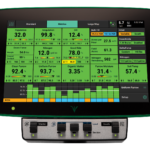 See vital information in the tractor cab to help you manage machine functionality and react on-the-go to changing field conditions. Plus, take your field data and maps with you on your tablet when you leave the cab!